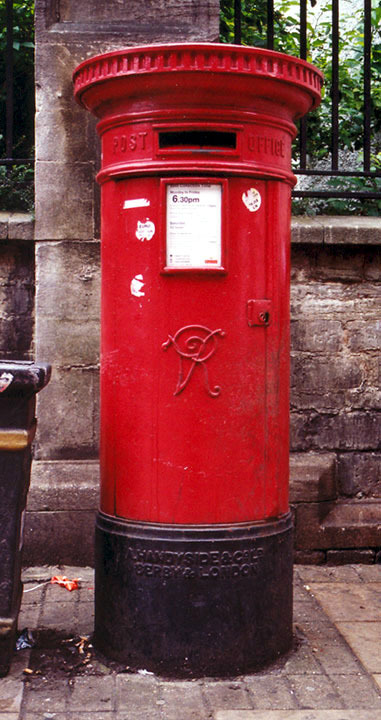 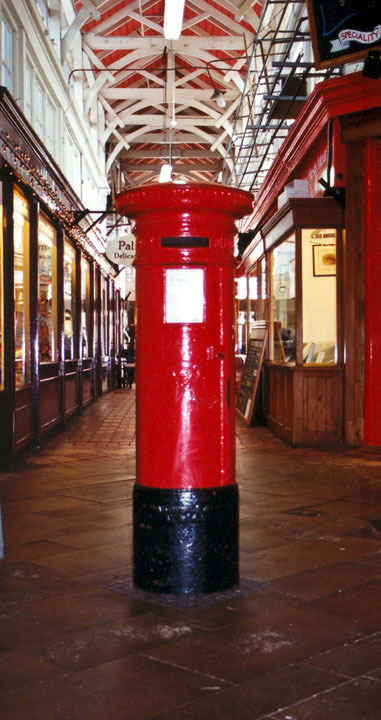 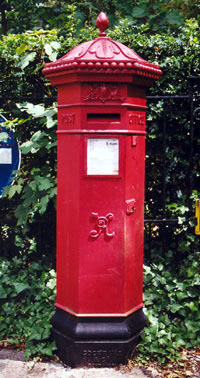 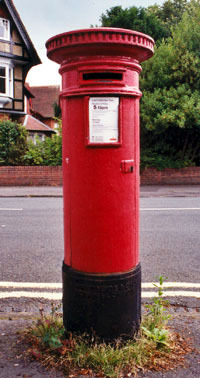 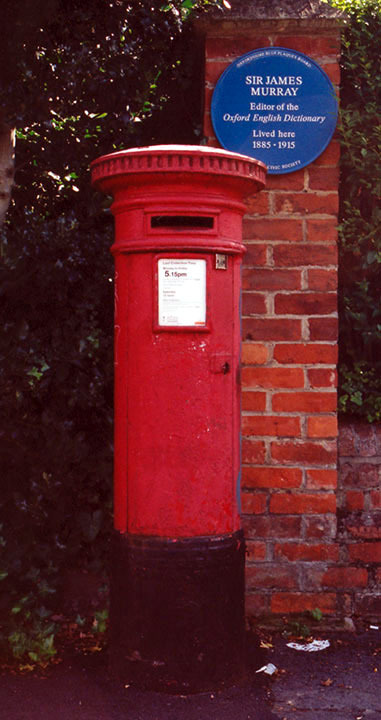 Rawlinson Road: “Anonymous” pillar box (lacking the words “Post Office”, and with no royal cipher), of design dating from 1879–1889. 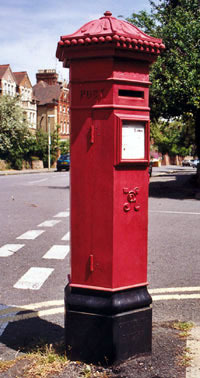 This box is first listed in Kelly’s Directory for 1894. Name of manufacturer (Handyside & Co., Derby & London) on black base.